This is an honorary position, scholars from around the world are welcome to apply and receive privileged access to the ZSL Library for a period of time, giving an opportunity to study rare or unique items in the collections. The Library holds many rare and fine books relating to all types of animals, their biology, conservation and discovery. The Library also contains photographs of animals dating back to the 1860s, many watercolours and prints as well as the Archives of ZSL. Visiting scholars have studied the hand written travel journals of William Baird; the provenance and history of ZSL’s volume of Mark Catesby’s The natural history of Carolina, Florida and the Bahama Islands, 1731-43; Brian Houghton Hodgson’s drawings of Indian birds. Our current Visiting Scholar is David Lowther, a PhD student at the University of Newcastle. He is using ZSL Library to assist in his research into the development of zoology in Britain c.1820-1850. 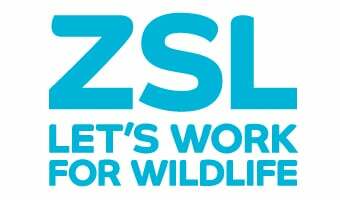 If you would like to be considered for the honorary position of ZSL Visiting Library Scholar, please submit a Curriculum vitae, with appropriate references, outlining your planned research topic and length of proposed stay. Our Library is well-used and hence applying some time in advance of your visit is recommended. This is an honorary post only and no remuneration is payable.